New advanced technology architecture has made the latest Lantek Integra 2011 into a completely modular web based ERP system for sheet metal and steelwork applications, which is fully integrated with company’s range of CAD/CAM solutions. Lantek, a global leader in the development and distribution of integrated CAD/CAM and ERP solutions for the sheet metal and fabrication sectors, has released Lantek Integra2011 web based ERP software. The system allows companies to automate, manage and control all of their business processes in a web based environment, facilitating management access across the Internet from any location or time zone. Alberto Martínez, Manager of Lantek SMS, says, "We have incorporated numerous new features into Lantek Integra 2011 which will give companies in the sheet metal and metal processing industries a powerful, high quality, management solution fully adapted to their needs in a mobile global market. These improvements will enhance productivity without degrading the ease of use associated with our software." Lantek Integra 2011 has a new ergonomic web interface which has been developed to enhance compatibility with the most popular web browsers including Internet Explorer, Mozilla Firefox, Chrome, Safari and Opera, and mobile devices such as the iPad. To improve display performance, page rendering speed has been dramatically increased enabling large quantities of data to viewed very quickly on a single page. Graphic wizards in the new software make it easy to customize reports. Easy access to information such as source data, columns, groups, orders and operations enable the manipulation of data and presentation for each report, allowing it to be tailored to the exact needs of each company. Budgeting in Lantek Integra 2011 has been extended to include product assemblies and subassemblies and not just individual sheet metal components. Products imported into the ERP database are graphically displayed in a tree structure showing the groups of components in each assembly or subassembly, simplifying the visualization and costing of the complete project. Lantek Integra 2011 also allows users to modify the project structure, automatically updating the budgets for each stage as the changes are made. Customer relationship management in the new software optimizes the monitoring of business opportunities. Factors such as the financial value of the opportunity, competitor activity, and sales and follow up actions can all be recorded and tracked, helping companies to arrive at a successful outcome. Managers can also record reasons for success or failure in winning new business. Subsequent analysis will help to maximize future sales performance. 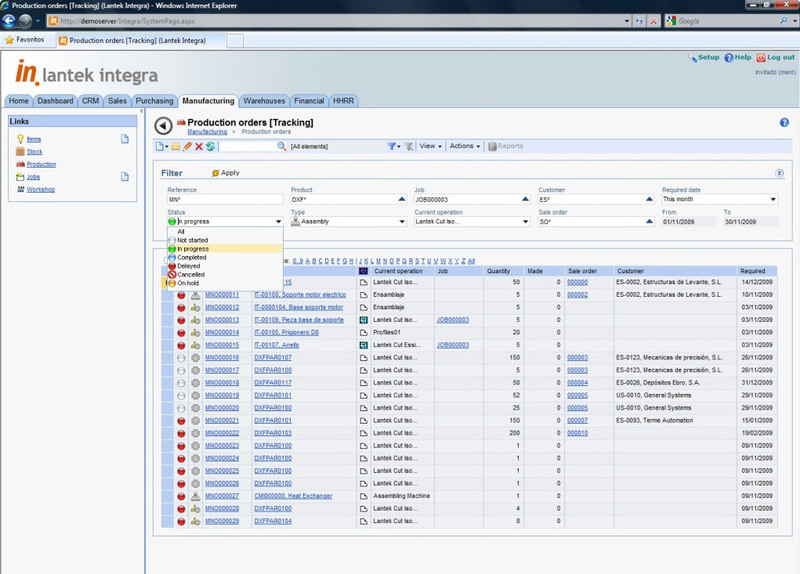 A new Outsourcing Module has been added to Lantek Integra 2011 enabling users to manage the subcontracting of work. The software manages orders, dispatch notes, and goods received notes ensuring parts are made and delivered on time and to the agreed cost, encouraging a close collaborative relationship with subcontractors. The advanced technology built into Lantek Integra 2011 has made it possible for the company’s development team to include these and many more improvements into the software performance. The changes will provide sheet metal, fabrication, and steelwork customers with a complete and modular ERP system dedicated to their needs, which is fully integrated with Lantek’s world leading CAD/CAM software, and which will deliver a clear competitive advantage to users. Lantek is a global leader in developing and commercializing integral CAD/CAM and ERP solutions for the machine-tools sector. 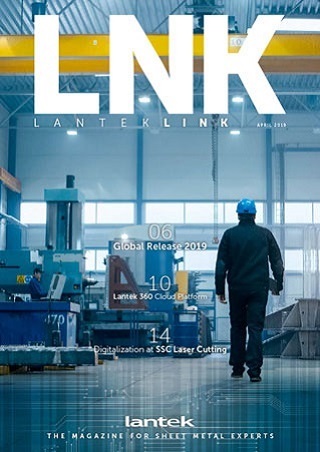 Its capacity to innovate and its decisive move towards internationalization have led Lantek, founded in 1986 in the Basque Country, to become a global leader with its Lantek Expert solutions for cutting and perforating sheet metal. The company presently has more than 11,000 clients in more than 100 countries, corporate offices in Spain (Vitoria-Gasteiz), the USA, Germany, Argentina, Brazil, Italy, the United Kingdom, China, South Korea, France, Japan, India, Poland, Mexico, Turkey and the Czech Republic and a distribution network which expands its presence throughout the world. Its international business made up 84% of turnover in 2010.